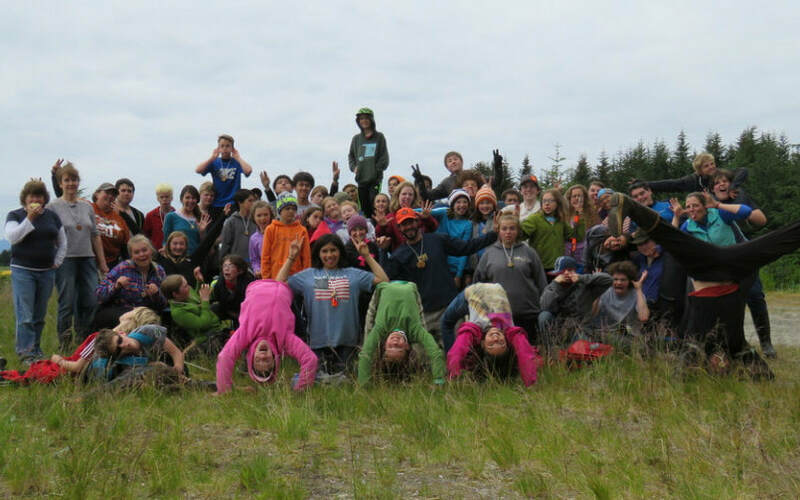 ​The Anchorage District 4-H Program welcomes all youth grades K-12 to join a 4-H club that meets in your area, form a new club or jump in with 4-H sponsored camps and classes. Whether you like the great outdoors, biking, animals, or arts and crafts, it's easy and fun to get involved. Check out 4-H and find out what you stand for! Form a 4-H club: the sky is the limit. What do you like to do? 4-H is unique—you can form a club around anything or everything. Find some friends who think like you, get some interested parents or adults to be leaders and get started. 4-H clubs are year round clubs. Oct 1 - Sept 30 is the official 4-H year but don't let that stop you from starting something this summer! Please contact me at kwshoemaker@alaska.edu with any questions or ideas for 4-H in Anchorage. ﻿There may be no better way to learn about the Alaskan legislative process than to experience it at the Capital. Teens from across Alaska (Anchorage included!) were invited to Juneau for a week to immerse themselves in this year's proceedings. A mock legislative session allowed the teens to explore roles of lobbyists, committee chairs and constituents. 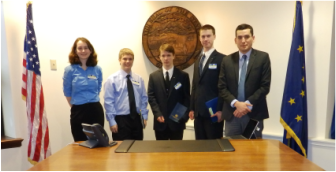 Youth were also given the opportunity to meet Alaska's legislators and discuss experiences in both Juneau and their home districts. The Youth in Governance program demands much from its attendees, but that doesn't mean time isn't made for evening fun! 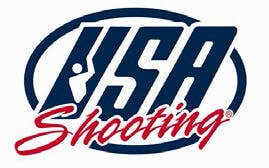 Information on the participant selection process can be viewed on the Youth in Governance webpage. This event was open to all families and held at Valley of the Moon Park in Anchorage, on Friday, October 3. They built rockets and shot them toward the sky! 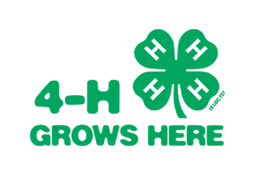 4-H National Youth Science Day (NYSD) is an exciting, interactive learning experience that engages thousands of youth across the country in conducting the National Science Experiment. Students built and launched their own rockets and learned about rocket science and aerospace engineering. Every year, classrooms across Alaska participate in the Salmon in the Classroom program through Alaska 4-H and the Alaska Department of Fish and Game. This innovative, science-based program allows schools to raise salmon from the egg to the fry stage in classroom incubators. Through participation in the project, students learn about the life cycle and biology of Pacific salmon species, their habitat requirements, responsible angling techniques for catching them and ways to protect Alaska’s valuable wild salmon stocks for future generations. This year's salmon eggs (raised and packed for shipment at the William Jack Hernandez Fish Hatchery in Anchorage) took to the skies recently and journeyed to Alaskan communities near and far. For more information (especially if you'd like to participate in 2017! ), check out the Salmon in the Classroom 4-H webpage. Anchorage 4-H has received a generous donation that will be used to fund scholarships for 4-H members. These funds must be used to attend a 4-H program (either for program fees or, in the case of travel away from our District, for travel costs). Youth in the Anchorage community have used the funds to offset travel costs to Juneau for the Youth in Governance Program, Cordova for their annual music camp, and more! Don't miss out! Click here to download the informational letter and application!